Lights, camera, action! Bollywood Bonanza slots takes you on a fabulous adventure into the center of India’s biggest movie industry! Get FREE Spins & Multiplied Wins when you play today! 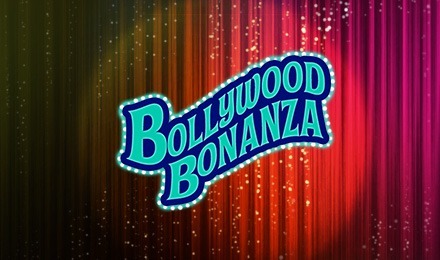 Bollywood Bonanza Slots brings you to the heart of Mumbai’s famous movie industry for glamourous spins and big wins! The symbols all fit into the Bollywood theme and include dancing girls, a fist fight, popcorn, a movie camera, and more! The Wilds is the Bollywood Bonanza symbols and not only replaces other symbols but can also pay out the biggest prizes! If you can land 5 Wilds in a winning combination your wager can be multiplied 750 times! The House Full Scatter is also very valuable and can reward you with FREE Spins and a multiplier prize!